30mls (Concentrate) = Extra strength.IDEAL FOR clearing MORE DIFFICULT CLOGS ! 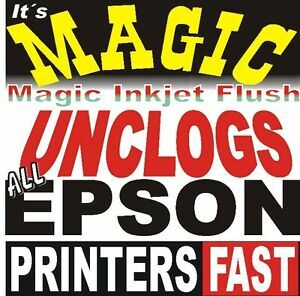 You will get 220mls Quality Magic Inkjet Flush Print Head Cleaner. throw away: ALMOST FULL INKS ?. A Perfectly Good Print Head?.